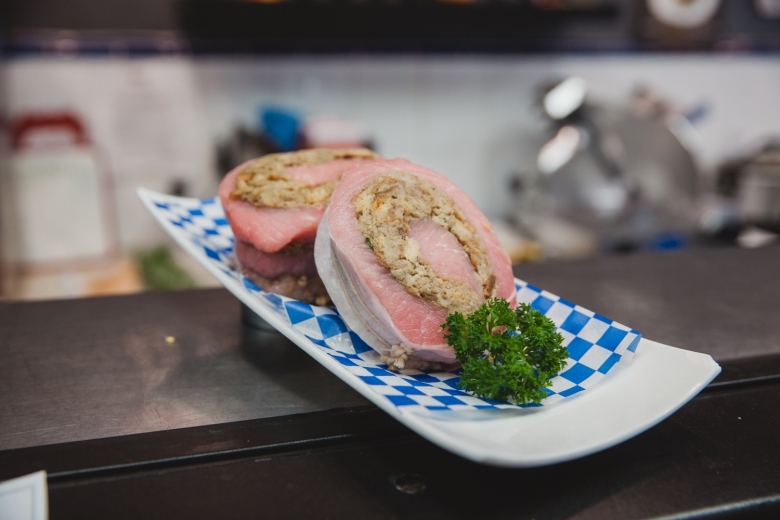 Tango’s Gourmet Meats is known as the West End’s friendly neighbourhood meat shop! The place to pick up 100% grassfed beef that is ranch-direct and certified organic. The shop operates on a “vertical integration” model of a smaller, more personally responsible commitment to modern food production. We caught up with owner Sandra Manning to learn more about her shop and what it’s like working in the West End. How how has the industry changed since you first opened up shop? 75-80 years ago, when this area was first being developed, the shop was also then a meat shop! Of course, the industry/market has changed over those ensuing years. In some respects, the “trends” have come back around full circle, to where the shopper is looking for the small local butcher shop, more like they would find in a European town or rural community. 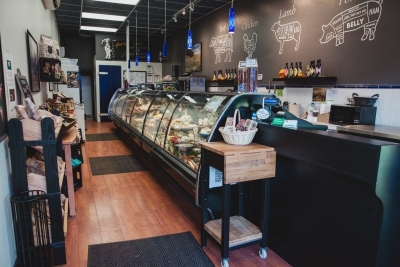 Today, Tango’s Meats aspires to bring the personal touch and friendly atmosphere of the little country butcher shop, with artisanal sausages, local suppliers, and ranch-direct sustainably pastured 100% grassfed beef, right into today’s shopping experience! What do you enjoy most about working in the West End? Working in the West End is enjoyable because walking is the “mode” of transportation! At Tango’s Meats, 90% of our buyers are on foot. 5% on a bicycle. So we meet/greet each other on the street, and folks know where to pick up the quick dinner meal, the quick sandwich lunch, or fresh bacon & eggs for a Saturday morning brunch! All within an easy walking distance! Added to these benefits to our shoppers, is the aspect of our Tango’s own business partnerships that are rooted in the West End community: our bankers, our printers, our fresh vegetable & fruit suppliers, and “home” to most of our staff. In addition to grassfed beef, what other offerings do you have? 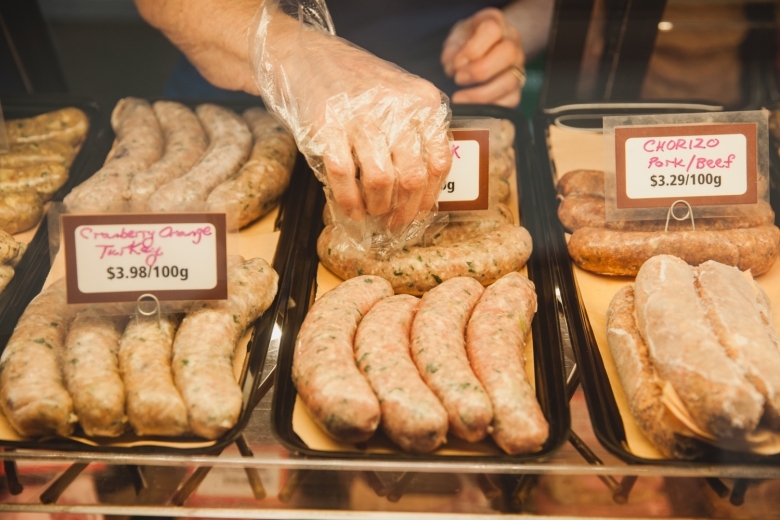 We also offer an artisanal in-house made sausage line featuring 11 different varieties so far. 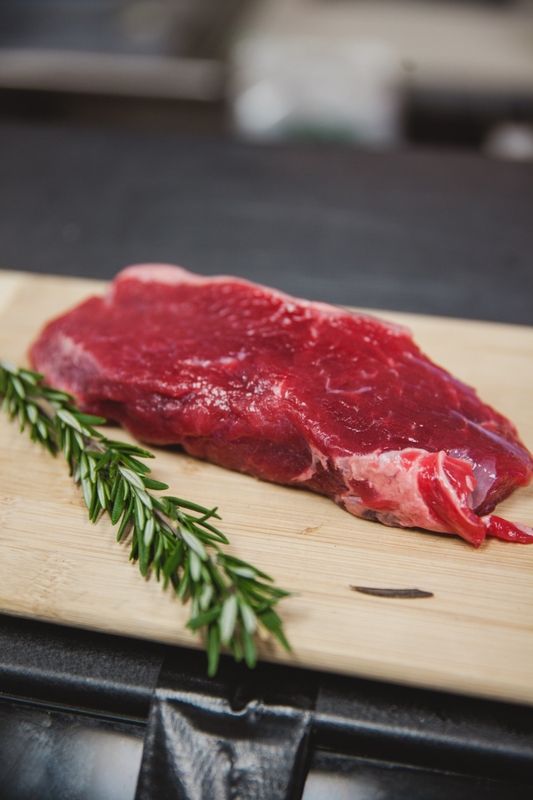 Made at our own Butcher’s Bench, without preservatives or nitrates or fillers and no Sulphites on the outside of the casing! Just our own beef, chicken, turkey, lamb and pork, and a whole mix of beautifully fresh herbs, spices & dried fruits. … NOTHING FINER OR MORE PURELY DELICIOUS!